Clearly the person who accepts the Church as an infallible guide will believe whatever the Church teaches. 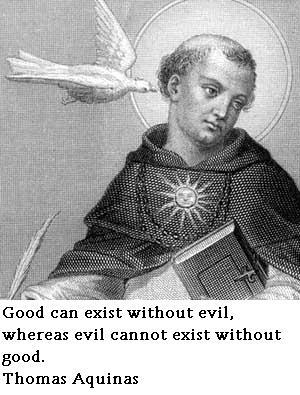 Good can exist without evil, whereas evil cannot exist without good. It is clear that he does not pray, who, far from uplifting himself to God, requires that God shall lower Himself to him, and who resorts to prayer not to stir the man in us to will what God wills, but only to persuade God to will what the man in us wills. Love is a binding force, by which another is joined to me and cherished by myself. Man should not consider his material possession his own, but as common to all, so as to share them without hesitation when others are in need. Most men seem to live according to sense rather than reason. Perfection of moral virtue does not wholly take away the passions, but regulates them. To convert somebody go and take them by the hand and guide them. Well-ordered self-love is right and natural.